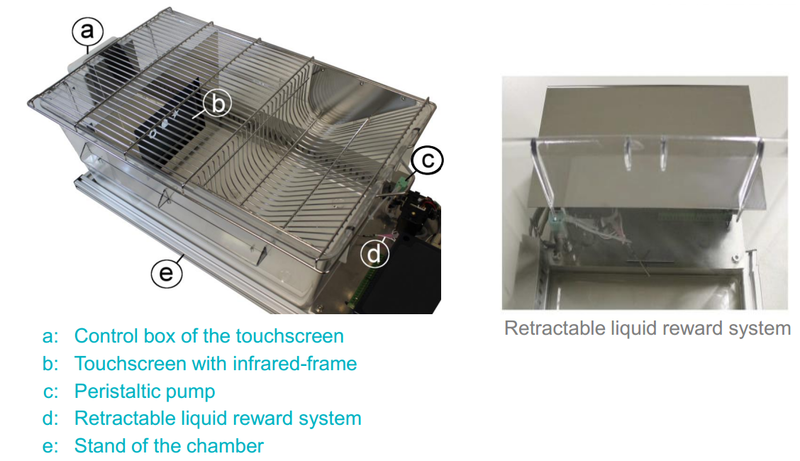 Over the last decade, touchscreen methods for rodents have become an efficient and powerful diagnostic method. Touchscreens are now widely used for cognitive testing and therapeutic screening of rodent models for translational research. It permits behavioral, lesion, and pharmacological studies. Touchscreen systems are integrated into our automation technology platform based on RFID technology. They have been designed to the highest degree of automation available in the industry. They allow the testing of tens of individuals at high-throughput rates with 24/7 automation without experimenter intervention. This minimizes human animal-handling and cuts on labor cost. 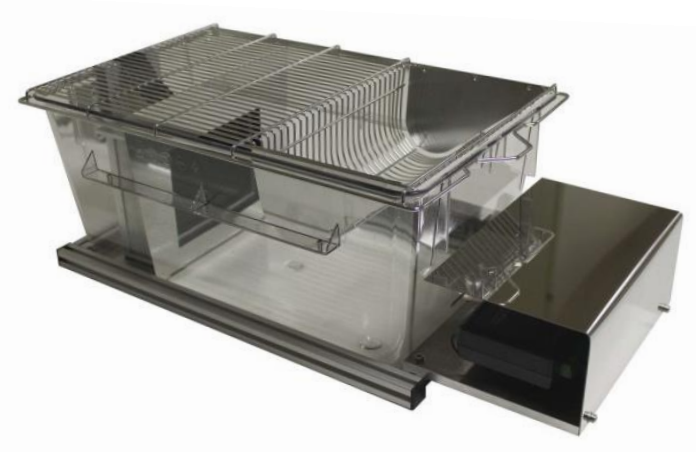 Full automation is enabled by the ID-Sorter (not included), which allows the selective passage of a single animal to the Touchscreen Chamber and back to the home cage. It is controlled by RFID-technology (transponder).